Welcome to the Murphy Education and Health Center. Our center provides resources for the community members including Murphy students, parents, and residents. We offer a variety of educational classes, health providers, and early head start to our community members. Be sure to stop by and see all the benefits that we can provide as we work together to build a strong relationship with our district and our community. Murphy School District is proud to have the Parsons Center for Pediatric Dentistry located at the Education and Health Center. The center is the dental home for many of our district children. With state of the art dental technology the center provides pediatric restorative care free of charge. CPLC's Early Childhood Development (ECD) programs are committed to giving every child, regardless of circumstances at birth, an opportunity to succeed in school and life. A child’s brain develops more during the first five years than at any other time in life. Research indicates that a child’s experiences during these formative years have a lasting impact on their ability to learn and succeed. CPLC’s ECD Head Start programs provide comprehensive, developmentally appropriate early childhood education, health, nutrition, and parent involvement services to low-income children and their families in safe, nurturing and supportive environments which successfully address each child’s total learning experience. Provides full-day, full-year early childhood development services to low income children, ages 0-3 years, and their families in educationally-stimulating learning environments. To restore dignity, “Healing through Love”, by providing free healthcare. The Arizona Health Partnership Fund, founded in 2017 as a 501(c)(3) nonprofit, exists for the sole purpose of supporting Mission of Mercy Arizona mobile health clinics and providing health care to disadvantaged families and children. Its mission, to provide primary medical clinics at no cost to families and individuals in Arizona that otherwise would have no access to affordable healthcare. 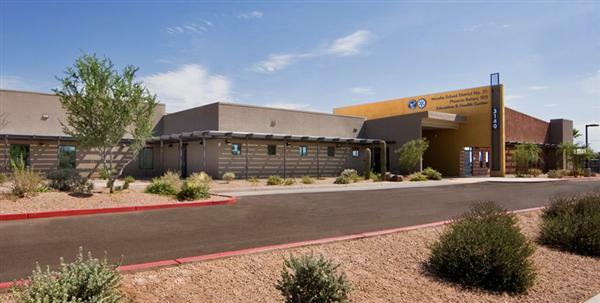 With six clinics across the Valley operating weekly, thousands of Arizonans are able to access free doctor visits and prescription medications.